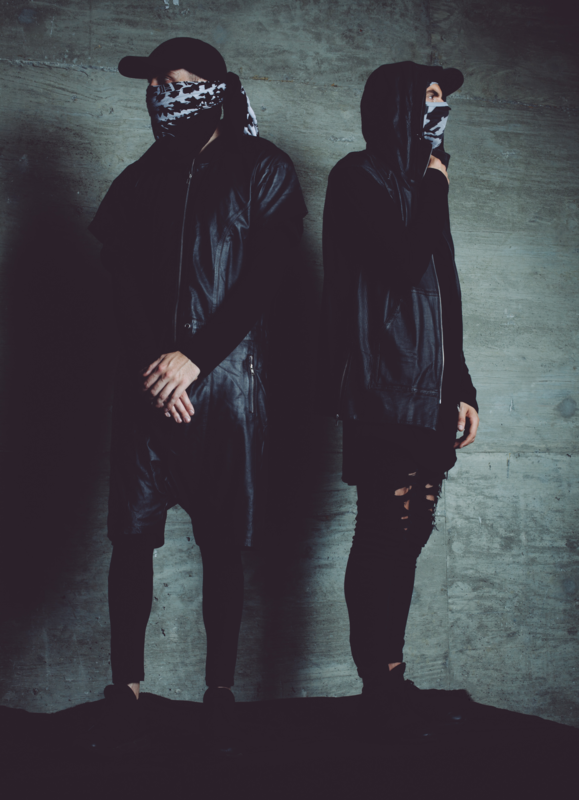 Alix Perez (Belgium/UK) and Eprom (USA) are SHADES. As pioneers of the half-time bass music sound, SHADES has grown to become one of the more influential artists in bass-heavy dance music. SHADES have developed into something akin to a cult in the 4 years since their inception. They have continued support from Amon Tobin, Claude Von Stroke, Noisia amongst others. They have toured the US, Europe and Australasia numerous times, and are quickly becoming a headline act. XLR8R “ ….it is music that's not only a legitimate full-frontal assault in the same vein as tunes from that golden era of gluttonous bass and synths, but that embraces that ethos while giving it a more polished feel”. 2018 will see the release of their debut full - length album, ‘In Praise Of Darkness’, signed to Zeds Dead's highly acclaimed imprint, Deadbeats Records. It is a 12 track saga of varying sounds and tempos, and includes the revered UK MC, Killa P. 2017 saw the release of their 4th EP, ’Night of the Dreadless Angel’, which is a graceful movement in bass music. It is the first release that sees SHADES collaborate with anyone else. As comrades and pioneers in the half -time, it made Ivy Lab the perfect partners. Their third EP, “Better to Reign In Heaven than to Serve in Hell” (released September 2016) on Alix Perez’ award-winning imprint, 1985 Music, is a testament to their maturity and innate progressive attitude toward music. Their Second EP “Powers of Two’, was an immediate success, and saw them being booked for shows globally. SHADES toured Europe, Australia and New Zealand in 2015 and 2016.